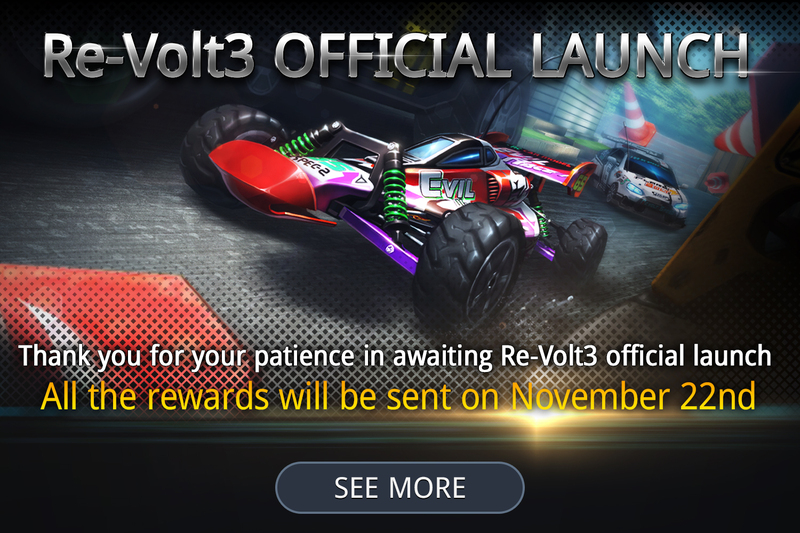 WeGo Interactive: Re-Volt3 Official Launch!! ⚡ Get Ready to Witness the Next Generation of Re-Volt! (5) Coupon code can be entered without adding "- (hyphen)"
We are always looking for ways to improve our game and trying to provide the best service to our users.